Many people have emotional attachments to wedding and engagement jewelry, specifically that the amount of money one spends on it, the more they are able to prove their love. But I disagree; it's not about money. You can have something beautiful to represent your love and commitment, and still do it on a budget. Here's some tips from jeweller Serendipity Diamonds on how to create the perfect pair of personalised wedding rings on a budget. Many people have existing jewellery at home—unworn and gathering dust. This jewellery can be re-cycled in two different ways. Firstly, unworn jewellery can be traded in—offsetting the cost of a new pair of wedding rings. Alternatively, some jewellery can be melted down and re-modelled into wedding rings. If you have diamonds in existing jewellery, they can also be re-used in a new wedding ring design. If the diamond sizes vary, they can be set in a random or scattered arrangement as shown in the example. Careful consideration of your chosen precious metals can have a dramatic effect on the cost of your wedding rings. Precious metals such as Platinum have the same look and durability as Palladium. Palladium can work out to as much as half the price of Platinum. In recent years, Palladium wedding rings have become extremely popular as a more cost-effective way of buying wedding rings. This is especially true for men's wedding rings where a heavier, larger wedding ring carries more weight and cost. 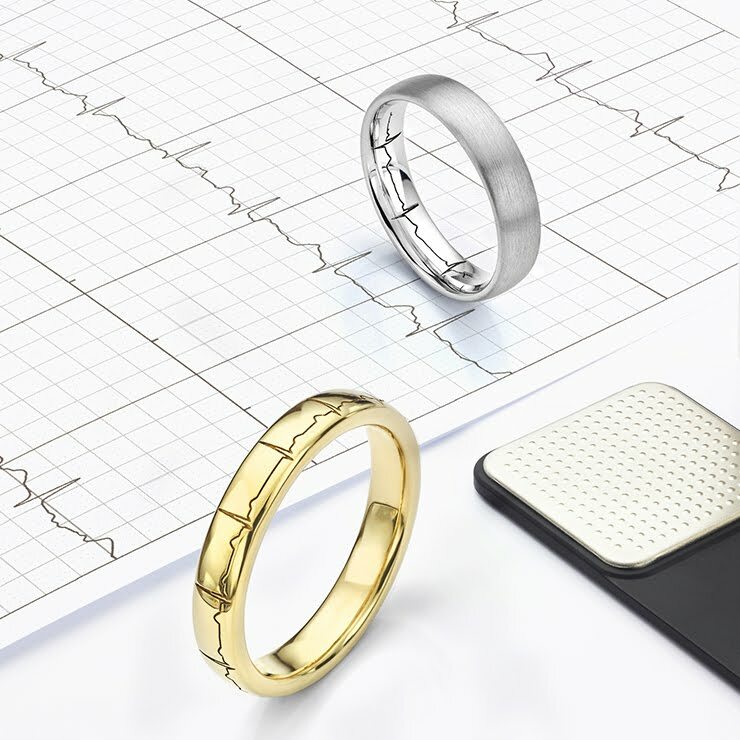 Whilst precious metals are most popular for wedding rings, many couples today are buying alternative metal choices including Titanium or Zirconium. Both choices are extremely lightweight, durable and can be fully personalised. Furthermore, both metals are far more affordable than precious metal alternatives. Instead of buying expensive 'designer' wedding rings, add a unique effect with a laser engraving. From handwritten messages to fingerprints and heartbeats. 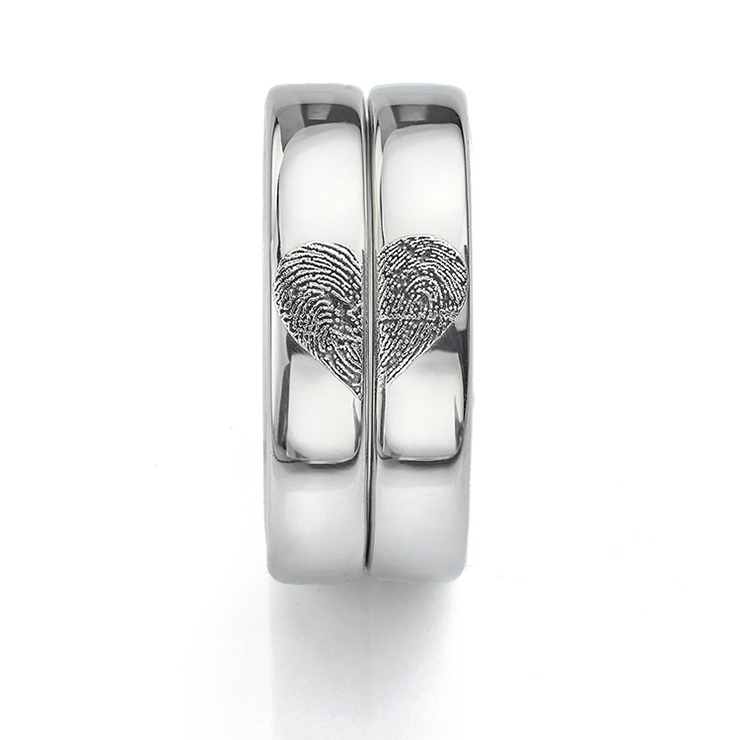 One of the latest trends transfers the fingerprints from a bride and groom onto a pair of personalised wedding rings. If you're looking for a little sparkle in your wedding ring, you can actually get the look of diamonds without actually having diamonds. The clever use of cut patterns can give the look and sparkle of diamonds without the cost. The 'Sparkle Cut' wedding ring from Serendipity Diamonds is a perfect choice for anyone working in the healthcare profession where diamonds cannot be worn for hygiene reasons. A narrow wedding ring can be advantageous especially when it comes to cost. The cost of most wedding rings is based on the weight of the band. By choosing a 2.5mm or 3mm wide ring, the lighter weight will mean a reduced cost compared to chunkier, wider wedding bands. Most wedding ring designs are available in light, medium and heavier weights. The depth of your chosen ring can have a profound effect on the cost of the ring. By choosing a shallower wedding ring, you will almost certainly save on the final price. Furthermore, light-weight wedding rings typically offer greater comfort when worn. 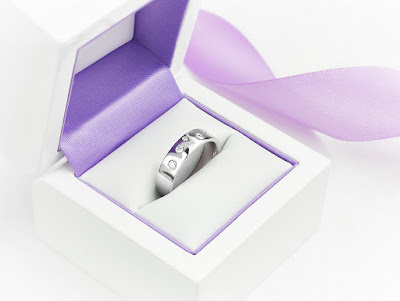 Many couples purchase their wedding rings a few months ahead of the wedding. 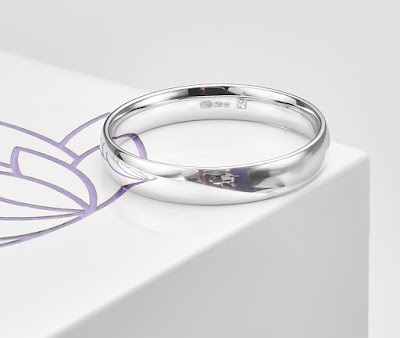 By carefully planning when the rings are purchased, it is possible to save on the cost of the rings. For example, at Christmas, many online jewellers offer 'Black Friday' incentives with heavily discounted prices on wedding rings. Buying online can be a great saver. For expert help and advice, Serendipity Diamonds offer a no-obligation service to create the perfect pair of affordable wedding rings. View their full collection of wedding rings online. Most designs are available in a wide range of precious metals including 100% ethically sourced Fairtrade Gold.